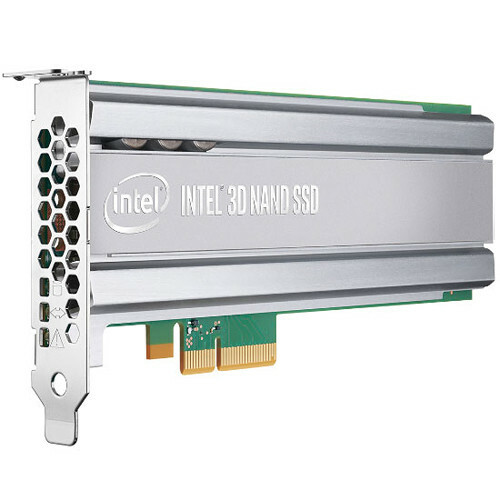 Upgrade your computers storage with the 2TB DC P4600 1/2 Height PCIe 3.1 x4 Internal SSD from Intel. This SSD features a PCIe NVMe 3.1 x4 interface capable of supporting maximum sequential data transfer rates of up to 1575 MB/s allowing you to store important files directly to the drive. This SSD also supports a variety of advanced technologies including enhanced power loss data protection, high endurance technology (HET), temperature monitoring and logging, end-to-end data protection, and 256-bit AES hardware encryption. High Endurance Technology (HET) in SSD's combines Intel NAND Flash Memory silicon enhancements and SSD system management techniques to help extend the endurance of the SSD. Endurance is defined as the amount of data that can be written to an SSD during its lifetime.